I purchased HP Pavilion g6 1040-ex with product number LP233EA#A2N from Saudi Arabia. I would like to upgrade my RAM. What can be maximum RAM this laptop can work with? 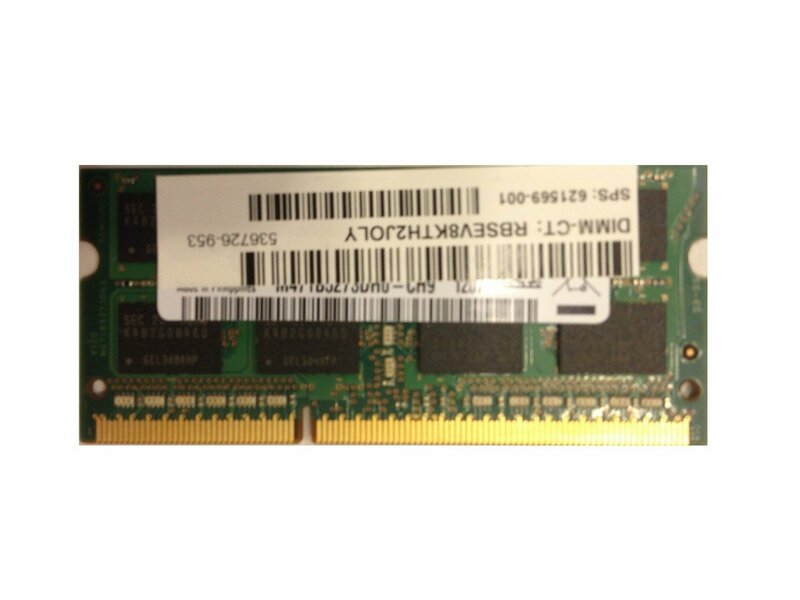 What are the part number of this RAM? In case the part numbers are not available in the local market, are there alternatives available? You would be able to use any DDR3-1333 SO-DIMM (i.e. laptop memory). It must be low density and that means 8 black blocks on the side of the chip like the module in the picture. That is an older laptop from maybe 4-5 years ago, you know? Also if you really have 32 bit Windows 7 on it you will not be able to effectively add memory. It takes the 64 bit version to run 4 or more gigs of RAM. Specs say that model was delivered with 3 gigs of RAM and 64 bit Windows 7 Home Premium so not sure what you have now. I have 64 bit OS with me. I was really hoping to have more than 8 GB allowed. 8 GB max was standard with the first generation Intel Core processors, even on desktop models. At one time not too long ago, 8 gigs was a fantastic, huge amount of memory. HP now sells laptops that will take 64 gigs of RAM.